Vanderbilt University is home to four governing councils that each contribute to the overall success of our community. Each council, and their member organizations strive to provide a beneficial experience to all of its members. The links below will provide you with more information about the recruitment or membership intake processes for each council. For more information, check out our 2018 Guide to Greek Life booklet here. A collaborative organization of nine historically African American, international Greek lettered fraternities and sororities. The nine NPHC organizations are sometimes collectively referred to as the “Divine Nine. For more information, contact Harold Brown. The Interfraternity Council (IFC) is the local governing body for National Interfraternity Conference fraternity chapters at Vanderbilt University. For more information, contact Aleco Smith . An umbrella organization for 26 (inter) national women’s sororities. Each member group is autonomous as a social, Greek-letter society of college women and alumnae. We have 10 of the 26 here at Vanderbilt. For more information, contact Sweeya Raj. The governing council for Vanderbilt’s culturally or identity-based fraternal organizations. This council is currently comprised of two organizations and the council will be expanding in the near future. For more information, contact Harold Brown. In the $ link below are some financial estimates provided by chapter leadership to help provide some clarity towards the the overall expense of being a new member or active undergraduate member of these organizations. We highly encourage you to talk with the chapter members about the financial obligations of membership during the recruitment/intake process. Included in the graph below is a brief listing of semester dues for new members and initiated undergraduate members, potential semester/annual financial support options from the chapter, regional, or national level, and additional expenses one might incur through expenses that at the discretion of each person. Additionally, Panhellenic and Interfraternity Councils do provide some level of semester by semester financial assistance to members that apply, one would need to re-apply each semester and each application is not guaranteed. Examples of additional costs could include but not be limited to: one time membership registration or application fees with the chapters headquarters, new member retreats, organization specific regalia (examples could look like membership pins, badges, line jackets, etc. ), accountability fines for behavior or chapter violations, new member education materials such as manuals and booklets, and chapter house facility management fee (where applicable). 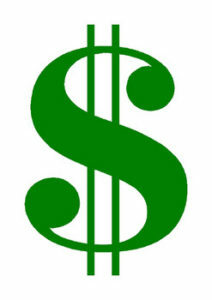 Optional expenses that members might have through personal purchasing decisions would include t-shirts for specific events, “formals” or trips with members, national or regional conferences/conclaves, gifts for “Big Brother/Sister and Little Brother/Sister” experiences, and other expenses that might be considered optional and at the discretion of each person. New Member/Aspirant dues listed within the financial document above are estimates based off of what the Inter/National Headquarters might charge in addition to the overall operating budgetary expenses of the specific chapter. Sisterhood/Brotherhood offers a sense of belonging, the feeling of great friends respecting you for your individuality, the feeling of knowing that you can count on your sisters/brothers in the good times as well as in the bad. Your chapter is a home away from home, presenting members with venues to socialize in, networks of support of older members, and countless opportunities to make new friends. Above all, Greeks are students. Our chapters recognize the importance of good scholarship, with each organization maintaining standards that their members must maintain. Organizations sponsor programs aimed at maintaining these high standards; some of these include academic incentives, tutoring, study hours, and faculty relations programming. Greeks are leaders both within their organizations and across campus. Chapter officers coordinate meetings, service projects, and social events. At Vanderbilt, the leaders of many campus-wide organizations are members of Greek organizations. 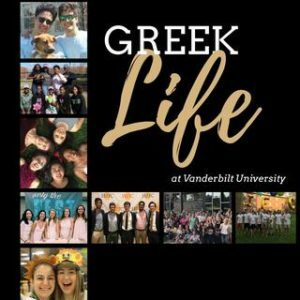 Currently Greeks are well represented in leadership positions within Vanderbilt Student Government, VUcept, Vanderbuddies, Multicultural Leadership Council, Alternative Spring Break, Dance Marathon, and many other organizations on campus. Each year the community raises tens of thousands of dollars for the chapters’ various philanthropies. Many Greek men and women volunteer their time in various local programs such the Children’s Hospital, Alternative Spring Break, Habitat for Humanity, and tutoring projects, among many others. As a member, your chapter will expect you to engage in a certain number of service hours every year. This expectation ensures that the founding value of commitment to community remains strong and lasting. The camaraderie of the community is apparent in many ways, from joint benefits and socials to the individual friendships that exist between members of different organizations. Our Cross Council Circle initiative brings together chapters from each council to engage in campus events. Membership in a Greek organization offers a variety of social opportunities. Most of our groups host social events like dinners, on and off campus parties, special catered lunches, desserts at the house, movie nights, and other events for members to socialize with each other and their guests.